Peacock Pool has an astounding view of the highest peak in Rocky Mountain National Park. 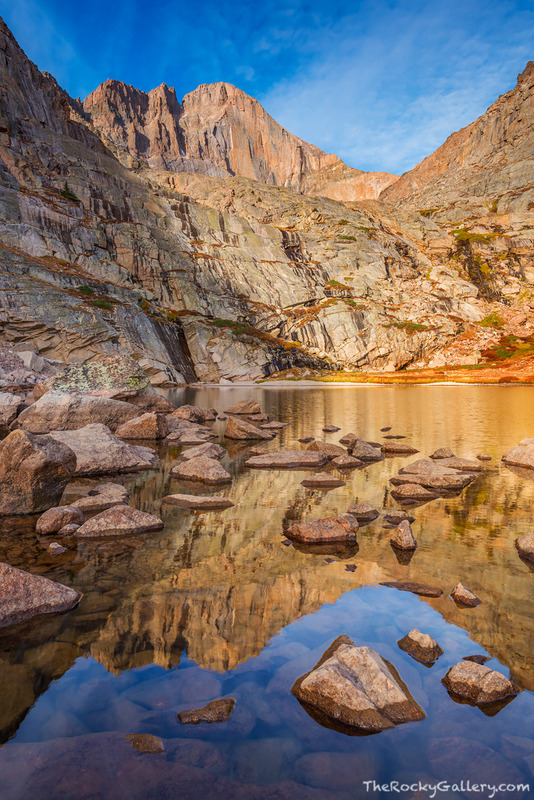 Located near the base of 14,259 ft high Longs Peak and it's northeast face known as the Diamond, Peacock Pool can be one of the most beautiful and serene locations in all of Rocky Mountain National Park, or one its most harshest enviroments. On this amazing late September morning, Peacock Pool was calm and serene as the reflection of Longs Peak and the Diamond in its still waters can attest. Photo © copyright by Thomas Mangan.